Fashion has always been a part of my life, weather it was wanting the newest top from Tammy Girl or my beloved Spice Girls trainers (yes, I know amazing right?). As a kid I always wanted to look "cool" and therefore fell total victim to some of the most stylish hilarious trends which I look back on now and cringe/giggle. Now... I can't of been the only one to wear these hip and groovy pieces as otherwise, well they wouldn't have been what we classed as 'trendy' or 'fashionable' a the time would they? So here they are the 20 hilarious trends that we all must have rocked at some point. I'm not sure where these came from or who decided that they were a thing but really.... trousers + a skirt (attached) = no no no. I definitely had a fair few of these and one that really sticks out in my mind was back with a silver floral pattern over the skirt - I definitely whipped it out for a school disco or two! Not as awful as the rest but you MUST of had some. Holy moly the year I started high school (03-04) if you didn't have a pair or these you and your feet might as well not have existed. These boots were sold out EVERYWHERE where I lived and literally every single female aged between 13-16 owned a pair I'm sure of it. Now black was the main choice I'd say, not many people were brave enough to rock the brown.... but I definitely saw a few pink pairs floating around I'm sure of it - those girls were sassy with a capital S! Close behind slouch boots (and from that same fashoinable time period) are ra-ra skirts - which funnily enough were the perfect duo back then. Weather you were meeting your friends in town, popping down to the beach or going to a party - a ra-ra skirt was your best friend and yes... any sort of footwear was considered okay with them. The amount of colour available was just a dream, I remember LOVING my pastel yellow beauty. We all went through that "pop-punk" stage - I blame Avril L, Blink 182, Sum41 and all those other bands who had angry but very upbeat and catchy songs! Sweatbands were just ONE of the stylish monstrosities that we wore on a daily basis. Made for sportsman and women around the round - we wore these with pride even though the only exercise we were doing was arguing with our parents or running for the bus. I had a really cool checkprint one.... Why why why? Keeping on that Avril vibe - flared jeans were da bomb. The bigger the better, if you we seen in bootcut you might as well have been wearing skin-tight leggings! I was victim to MANY a pair and lived in them. Tammy Girl was my port of call (for most things at that age) and I had, in my eyes, the coolest black pair with an attached pink chain for extra punk points. The worst thing about this trend - when it rained. Those buggers soaked up water like there was no tomorrow, wet jeans up to your knees anyone? To this day I still can't believe how much I was into this. The pop-punk "skater" days were so last week and being a "Townie" was totes in. Drawstring bags, nike trainers and of course the GOLD bling. Multiple hoops, multipe necklaces at different lengths and knuckles full of rings! The doll necklace is one that sticks out in my mind - I begged my Mum for the one from Argos (cringe) and she point-blank refused to buy it for me - that woman had the right idea. Please tell me someone else wanted this? I so so highly influenced by my fellow peers it is shameful! Again not horifically awful but these played a major part in my educational life growing up. These were THE backpack to have when I was about 12/13 - I spent long and hard convincing my Mum that it was a good idea to splash out on this and that my social life/reputation would be over if I rocked up at school with my books and lunch in anything else. Mine was purple floral and clearly the coolest out of all of my friends (I liked to think). Another high school era trend now. The flip-flop which was a closed shoe at the front. (I'm sorry if I offend anyone who still wears these) - I remember the girls in the years above me at school having them so clearly at the time I knew it was a must-have. White were the most popular colour and the amount of people who tried to get away with the black pairs as 'school shoes' was hilarious! Weather it was the classic trainers or the infamous poppered jogging bottoms - wearing things with 3 stripes instantly made you hip and trendy, duh! Also trainers and denim skirts were super cool. Britney Spears and the last scenes of Crossroads I blame you for this. All I want was a pretty gypsy top with the biggest flared arms like she had - of course I had to settle for New Look and their options. Everyone had one of these 'gypsy'/'peasant' tops - it was the key ingredient to my oufit for my year 8 leavers disco, paired with a denim skirt (of course) and some of those 3 stripe adidas trainers, I was the bee's knee's. Where did they all come from? They were everywhere. These always seem to pop up every few years or so. Thin plastic bands which came in many colour with many terrifying consequences if you broke one. The more up your arm the better and don't forget.... they're great to chew on too! Big big belts with every outfit. 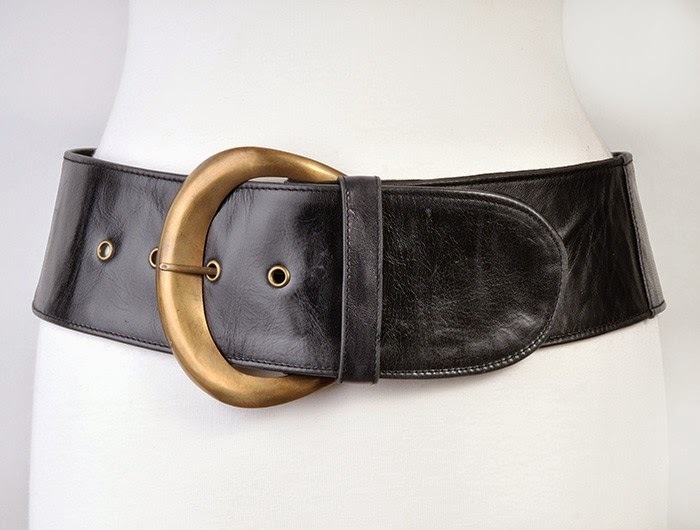 Sat on your hips and holding up absolutely nothing like a belt should, I had lots of them. A staple wardrobe piece in the early 00s. These were trendy with a capital T. Every store had them and every girlband wannabe with them. Mine were pink and the octopus material things were actually detachable - snazzy huh?! Another point for trend-setting Avril - you go Avril - ties were cool... and for the weirdest reasons! Just wearing a top and jeans today? Why not add a completely random tie as a cool necklace or belt? Perfect! The funniest name for an item of clothing. knee length - 3/4 jeans/trousers - normally skin-tight. I lived in these for years and years! This includes numbers 4 and 12. So many bracelets to choose from, so many styles - but don't worry about choosing - oh no don't be silly - just wear them all, even if they are nearly hitting your elbows it doesn't matter, you want to be able to show everyone the cool and unique styles you have picked up. Hahaha I actually did this... everyday. The slicked back gel drenched hair with 2 tiny strands left out at the front - they don't call me a beauty blogger for nothing! Also remember when everyone just had the two front sections of their hair blonde? Yup, I did that too! 19.5. Talking of hair too..... who remembers BUTTERFLY CLIPS. I wore about 20 a day! Not a crop top and not a t-shirt we all had those tops that revealed that cheeky bit of midriff/muffin top. Britney, Christina, Pink .... and the rest of those female teens/early 20s gods of the time with their washboard abs and perfectt hips are firmly to blame for us thinking it was okay. 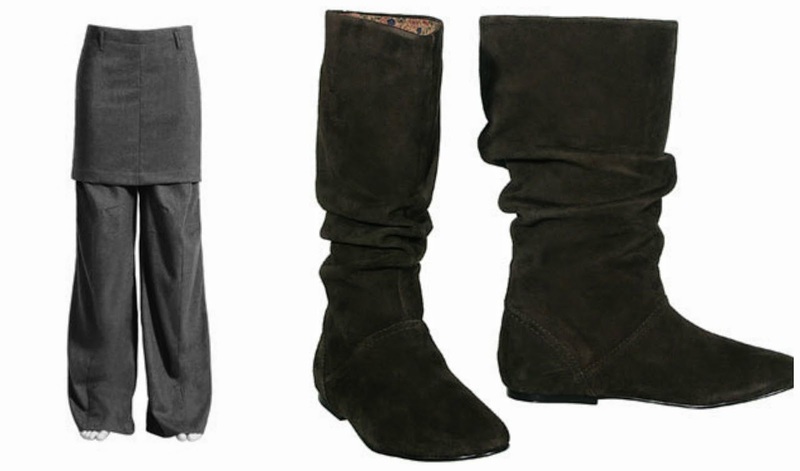 I loved my slouch boots so much. I think they actually might be floating about in the attic. Inflatable backpacks? I don't think I had the pleasure. I still find broken butterfly clips every now and again. My mum actually put loads in my brothers hair once. The photographic evidence is great blackmail (he tore up the original photo but not the negative). haha this made me giggle , i am guilty for most things on here ! i used to have the boots and pedal pushers ! Hahahaha literally ticked every single box! This is great! So funny! I'm definitely guilty of some (most) of these! What a great post, this has really given me some giggles full of shame on this otherwise boring Sunday afternoon. Some of those trends didn't quite make it to London, like the over sized flared jeans, surfer shorts and quicksilver backpacks but the majority of the others did and shamefully i fell for nearly every one of the 'trends' oh the shame on thinking back how terrible I probably looked but thinking I looked amazing and was so fashionable. The Chav jewellery (I was covered in gold and looked absolutely stupid with my 2 lots of hooped earrings and as any rings as I could get on my hands haha), pedal pushers, ra-ra skirts and the lonely 2 strands were a few of my personal favourites! Number 8 is hilarious and so true! My mum never bought me those and I was the kid in reebook 'jogging pants' in PE all the time :( hahaha! Such a great idea for a post! I had blocked out my memory of bubble backpacks, until now! Cringe!! OMG! I had the trouser-skirt things ... more than one pair...why just why?! Butterfly clips were traded around my primary school like drugs, and as for gypsy tops...well an unfortunate incident including fire,church, Christmas and my sleeve may or may not have occurred! Amazing idea for a post! I did pretty much all of these. I remember once I got a dunagree dress from Tammy Girl but it had a different label so I told everyone it was designer and I really thought it was. yes I am guilty of a lot of these fashion horrors. The problem is that we thought we were so cool at the time! Oh God. Some memories haha. I was the cool one with about 20 bands all up my arms and purple flares. This is amazing! I think I had every single one of these ahaha! As for the chav jewellery... A massive, white gold, cubic-zirconia encrusted "B" pendant on a chunky gold chain. I'd put my necklace on under my pink stripy turtlenecks (don't forget they were all the rage in 2002- Check out Love Actually for proof! ), and just pop the pendant over the top of the neck. So embarrassing looking back! This was such a good post, I had to admit that I did try and pull off some of these looks along with the fake tattoos as well. Omg, I loved reading this post! I was also born in 1990 and I'm guilty of so many of these! I feel rather lucky to have parents who stopped me from wearing so many of these disastrous trends. I threw plenty of hissy fits when they refused to buy me the octopus/parachute pants I wanted but thank god they didn't! They did buy me an inflatable Barbie backpack though so their fashion sense wasn't entirely there. My oh my! The butterfly clips! I'd wear so many of them!! What the actual f were those octopus pants about though?! HAHAAAAAAAAAAAAA?! Like whoooo invented those and decided they were a good idea?! I mean I never actually had any, *mum refused* but my god I wanted them! Oh, and Primark are stocking pedal pushers, THEY'RE BACK BABY!! Hilarious! I did most of these!! If being fashionable has never been your forte in past times, you may well be feeling a little bit daunted at the notion of going clothes shopping. The secret to success this is to continually seek some help. There are so many reasons to hire a inflatable bounce house . But the main reason of all as the fact that it is such a healthy toy. They offer great cardiovascular exercise. Hire it now. 13/18 I had no idea I was so trendy when I thought I was rebelling.